and we love every minute. We cheer together, laugh together, and we ARE together. that are living their dream. Win or Lose. I will be there. We have had so many memories at Turner Field. Too many to count. Our first game there, my husband and I were just engaged and now we have been married almost 18 years and have kids that are 10 and 14. I could not be happier that today is Opening Day. It was a beautiful day yesterday. Sunny. Temps in the mid 60s. Just perfect. I had to take my daughter to one area park for a softball clinic. My “hubby coach” had coordinated a baseball practice at our regular baseball park, so he had taken our son there for practice. My husband wanted to work on specific things with the boys. He always has a practice plan. One that is organized and using every minute to develop the skills that he plans to work on. He uses his time well. He has the boys moving from station to station so there is not a lot of sitting or standing around. This is where I will help with one of the stations. We get our work done, but in a fun and positive way. After my daughter’s softball clinic, we drove to where the boys were practicing, so I caught the last few minutes of practice. They were playing a game called “Two Strikes”. 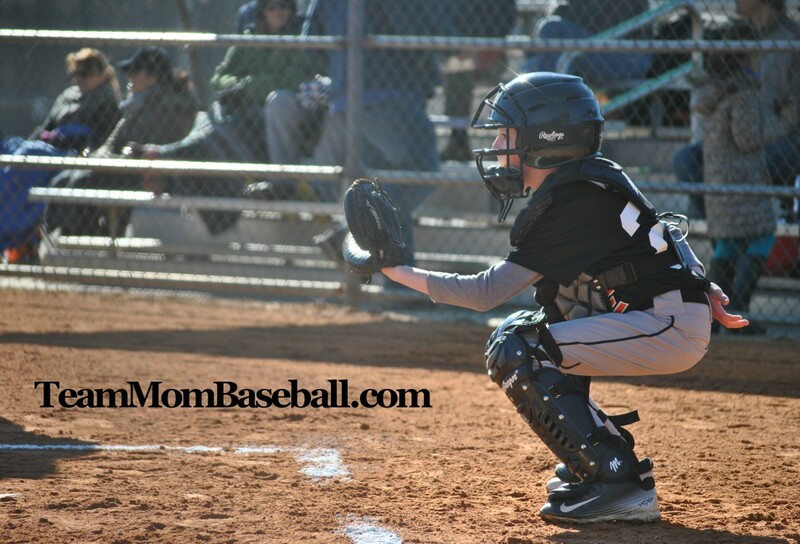 It is a game that teaches the boys to be aggressive and focused at the plate with 2 strikes in the count. You divide your players into 2 teams. One takes the field, the other will hit live pitching from the coach. When batting, each player steps into the batters box with 2 strikes against them already. They only get one strike. If the batter gets on base (via hit or error) on the next strike he sees, his team gets a point. If he does not get on base on the next strike he sees, he’s out. A foul ball is an out. If the next pitch is a ball, then they keep going. Each half inning ends when the team reaches 6 points or 6 outs are made. You can play as many innings as you have time for. 2. It teaches the players to be aggressive at the plate with 2 strikes against them and to be ready to swing at anything close. The boys love this game. They were laughing. They were having fun. They were trying to hit the ball as hard as they could. They were running as fast and as hard as they could. They were trying to score at home while the coaches tried to get them out. It was hilarious. It was enjoyable. The boys were enjoying time with the dads that help out and enjoying time with their friends and teammates. The coaches were laughing, smiling, and running around with the boys as well. I was laughing too, especially because my husband was the only outfielder in this “game” and was repeatedly throwing the boys out at 1st base. So much fun to watch.